MTSU cuts ribbon on profession..
‘MTSU On the Record’ explores ..
Four MTSU professors will help put the Old West into contemporary context in a special film series at Nashville’s Belcourt Theatre. 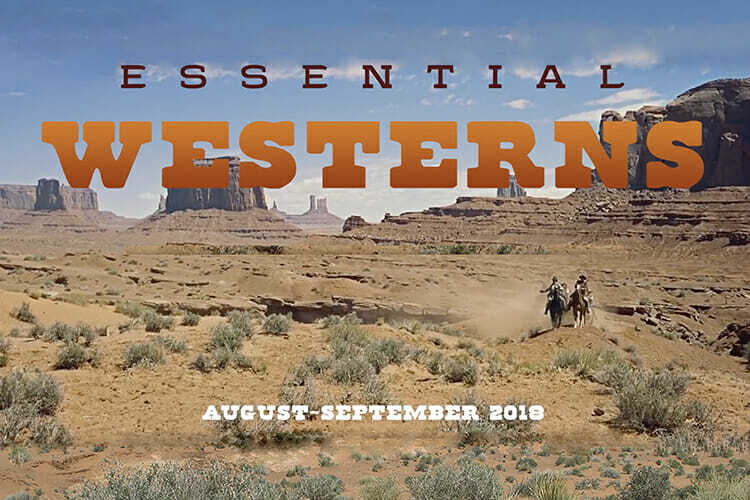 “Essential Westerns,” a lineup of some of the great all-time Western films, will be screened at the Belcourt, located at 2102 Belcourt Ave. in Nashville, from Aug. 4 through Sept. 30 with enlightening introductions from university professors, film critics and other experts in the community. Dr. Christopher Weedman, an MTSU assistant professor of English who teaches courses in film studies and popular culture, will lead the audience into “Ulzana’s Raid” Wednesday, Sept. 5. Starring Burt Lancaster and Bruce Davison, this anti-Vietnam War allegory tells the tale of a young cavalry lieutenant who calls upon a veteran scout to help him track down an Apache chief. Dr. Elyce Helford, a professor in MTSU’s Department of English who also teaches courses in film studies and popular culture, will introduce “Bad Day at Black Rock” Saturday, Sept. 8. Directed by John Sturges, the movie stars Spencer Tracy as a war veteran who encounters resistance from the prejudiced residents of a small town as he looks for the father of the man who saved his life in World War II. Chris Clark, an adjunct professor in the School of Journalism and Strategic Media, film aficionado and retired WTVF-TV lead anchor, will provide the preface to “The Naked Spur” on Sunday, Sept. 16. James Stewart stars in the film as a bounty hunter seeking to bring a murderer, played by Robert Ryan, to justice with the aid of an old prospector and a discharged Union soldier. Dr. Will Brantley, an MTSU English professor who teaches film history and criticism as well as Southern and modern American literature, will introduce the classic “Shane,” starring Alan Ladd, Jean Arthur and Brandon de Wilde, Sunday, Sept. 23. Ladd portrays a retired gunslinger trying to live down his past in a small Wyoming town while getting caught up in a fight between a cattle baron and the local citizens. Helford returns Saturday, Sept. 29, to introduce “The Furies,” directed by Anthony Mann and starring Walter Huston and Barbara Stanwyck. Huston, in his last film performance, plays a cattle baron who faces violent resentment from his daughter, portrayed by Stanwyck, as a new woman enters his life. For information on the entire list of 26 films, as well as ticket information and showtimes, visit www.belcourt.org/events/essential-westerns.